With its 30+-year history, several long-time Club players have died — one of them, actually at the Club. 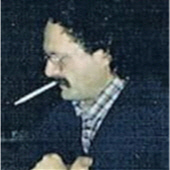 In the mid-1980s, Harold Blum played GANGLION, clutched his chest and fell forward. All of our departed friends are greatly missed and remembered with affection. 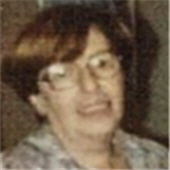 Berenice first saw Scrabble on a trip to Israel in 1955 and on return to England immediately bought a set. After this she taught me the rudiments of the game so we had to get married in order to play more frequently. After making aliyah in 1999 we joined the club. She always looked forward to Tuesday evenings not only to play Scrabble but to enjoy the friendly sociable occasion. Harold Blum’s son Bill was one of the Club’s early stars. A clinical psychologist, he saw the Club as a therapeutic environment, and recommended it to several of his patients. Professional discretion, of course, demanded that this was not known at Scrabble. 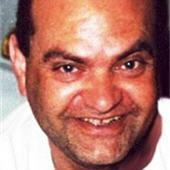 Bill was felled by a heart attack in his early 40s. Eddie always said that his Scrabble history began before Scrabble. Growing up in London the 1930s, he played word games like Lexicon and Kanugo until Scrabble made its debut. 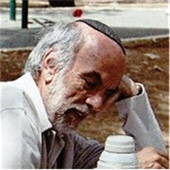 He went to Israel’s first Scrabble tourney in Tiberias, to the first meeting of the Jerusalem Club and to almost every session afterward, until his final illness. 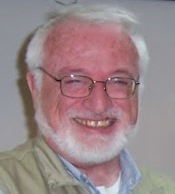 Outside the Club, Eddie was better known as Edward Abraham Levenston, Professor of English Linguistics at the Hebrew University of Jerusalem, co-author of The New Bantam-Megiddo Hebrew & English Dictionary, and a developer of Israel’s electronic dictionary Milonit. 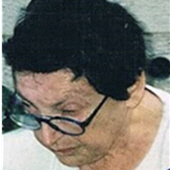 Edythe was a good and very enthusiastic Scrabble player who drove up to Jerusalem from Rehovot for the Club each Tuesday in her clanky old jalopy. She would stay Tuesday nights with Sara Schacter and, following a Scrabble marathon between the two on Wednesday mornings, she addressed her second passionate hobby at Sara’s home on Wednesday afternoons: opera. Bringing cassettes from her vast library of opera videos, she held screenings for a group of opera-lovers each Wednesday at 2.00 p.m., before clanking her way back to Rehovot. Esther was a fiercely independent soul, and a true character in a Club brimming with characters. 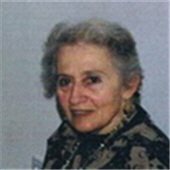 Born in London, UK, she was a Zionist who moved to Israel in its early days, where she worked for the Jewish Agency. She was one of the first members of the Club. Born in South Africa, Etta was a kind and caring woman, whose many good deeds were concealed under a quirky exterior. Harold was a dentist, a gentle man and patriarch of an entire Scrabble family. His wife Tovah, son Bill and daughter Michelle all played in the Club. 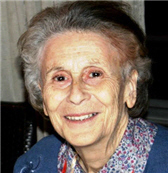 Hazel moved from her native South Africa to Kibbutz Tzora near Jerusalem in 1956 and lived there for almost 59 years. Hazel was a founding member of the Club, which is where her “embarrassing” ability to remember words came into its own. Scrabble ”was one of my raisons d’être,” she maintained. “I love it, and as soon as word-lists become available, I avidly learn them. I remember learning the four-letter words on bus rides. I even learned the meanings of all the words, though I don’t remember all of them.” Hazel left this world in the midst of an online Scrabble game. Josie was a kind and considerate woman, with a wicked sense of humor. A tour guide, she was born in England and lived in Jerusalem for some 50 years,the right place for the free spirit she was. Julius was Sam’s father and, along with his wife Shayna, Sam’s first Scrabble partner. 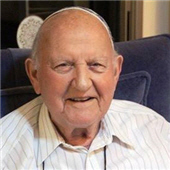 Born in Leeds, UK, he lived on Kibbutz Lavi in the 1950s, in Montreal, Canada, for the first three decades of his married life, finally returning to Israel in the early 1980s. When his sight began to fail, he found and acquired a super-sized Scrabble board with super-sized tiles, and a Scrabble dictionary the size and weight of an old-time encyclopedia. A British-born optometrist, Lionel continued coming to the Club long after he was crippled by ALS (Lou Gehrig’s disease). From his wheelchair, he would indicate to his carer where on the board to place his Scrabble tiles. 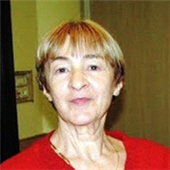 Born in Romania, Mia was a founding member of the Club and rarely missed a session. Fluent in several languages, she was a top-rated player. Just occasionally her English let her down. One famed example was when added –EN to MIX, creating MIXEN — and thus making MIXEN the Club name for a word that seems plausible, but can’t, in fact, be formed by hooking a letter to another valid word. Roz broke the mold. 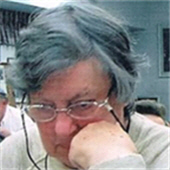 She was a short woman with enormous presence… a kind person who didn’t suffer fools, gladly or in any other way… a rabbi’s wife who was entirely down to earth… and one of the greats of the Scrabble world. 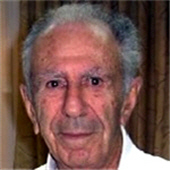 Sam, the Club’s founder and director until his death in 2002, was born in Montreal, Canada. A columnist and humorist for THE JERUSALEM POST for most of his working life in Israel, he introduced Club Scrabble to Israel. See this page. 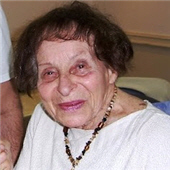 Sara was born into a Zionist family in London in the early 1900s, and she recalled sitting, as a young child, on the knees of a visiting David Ben Gurion. 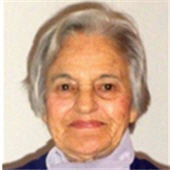 She led a colorful life: she came to pre-State Israel in her early 20s, where she served in the Haganah. Married three times, she lived in Britain, Germany and the US, but always came home to Jerusalem. She played in the Club from its creation until her death, aged 98. Lionel’s wife Tamara was a talented artist. Confined to a wheelchair in her later years, she started a Scrabble group in the retirement home where she lived. Varda’s path to the Club began in pre-World War II Pinsk, then part of Poland, now in Belarus. It led to Siberia (to where the teenage Varda fled the Nazis in 1941, and where she walked two snowy miles to school and back, each day), on to post-War Paris (where she studied in the Sorbonne), to Australia, and finally to Israel, where she married and had two children. She met her unrelated namesake Hadassah Braun at the Club and the two became firm friends: at one overseas Scrabble tourney, the hotel wanted to know which was Mr. and which was Mrs. Braun! Zelig grew up in Cheyenne, Wyoming, where his father occupied a rabbi’s pulpit. His road to Israel wound through the psychedelic, flower-power culture of San Francisco of the 1960s. A wise, insightful and compassionate man, and the best friend many people would ever know, he was a mainstay of the Club until his passing in 2008.